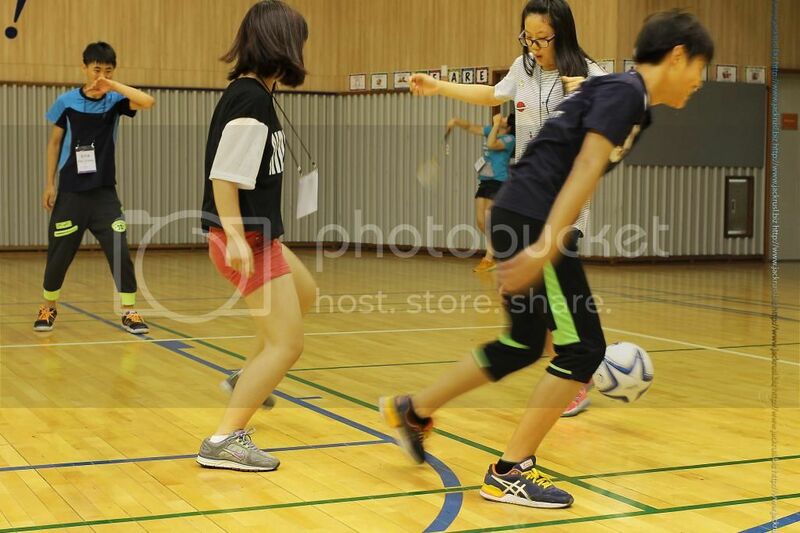 The Kumkang Kids had a very active day last month with the ladies of The 601 Habit and the volunteers. It was a rainy day, a day you wouldn’t wish for when you have sports activities planned out for the kids. 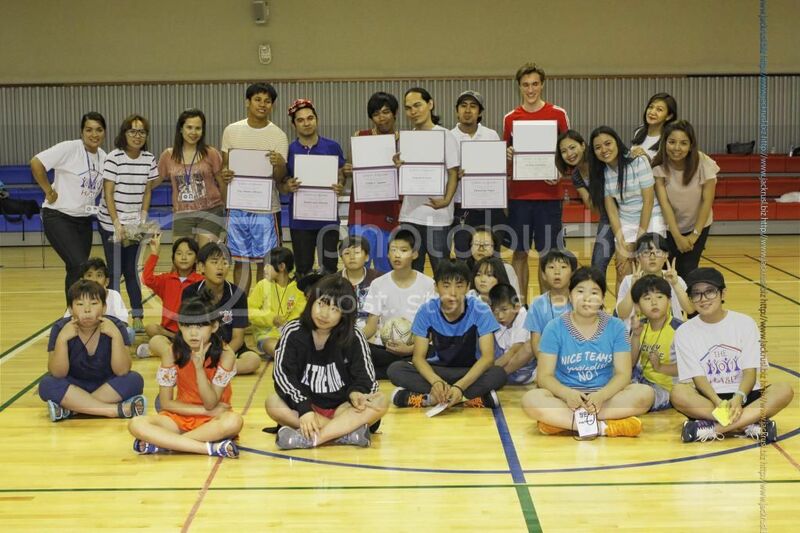 But we got the gym of Dwight School Seoul whose management allowed us to use for our July’s Give-Back Project, “Sports Day with Kumkang Kids”. My second-grader goes to Dwight but he wasn’t able to attend our July activity with Kumkang as he had a Saturday training with his taekwondo school. He was preparing for Kukkiwon or his Dan promotion test. 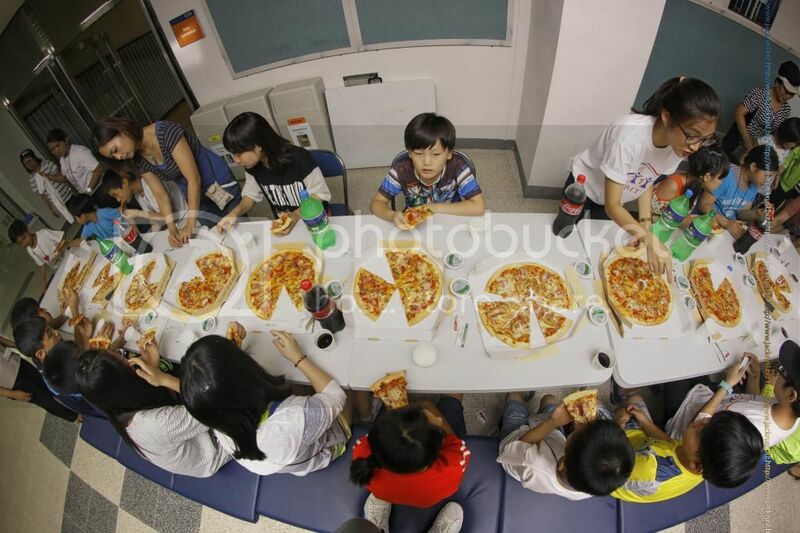 We immediately allowed the kids to settle down and oriented them about the activities. They were made to choose which sports they would like to play and introduced them to their respective coaches. The “Sports Day” wouldn’t have been possible if we didn’t have volunteer soccer and basketball coaches. So, we are so happy to have several kind-hearted men who volunteered their time and effort with us and the Kumkang kids. Special thanks to Josh Ovenden, Zaldy Aquino, Eric Matias Olivare, Clement Sagra, Isagani Ceniza and Harley Boy Maceda Ortiz. We also had special lady volunteers who helped us during the day’s activity. Ms. Gennie Kim didn’t just volunteer her time with us, she also gathered our Filipino basketball coaches. Ms. Katherine Corteza-Kim played with the kids and was a big help in translating for me and Josh. Ms. Myla Ellorando, president of Akbayang Pinay sweated it out with the kids and joined them in their games. Bus and lunch were sponsored by our major Give-Back Project major sponsor, the CJ Welfare Foundation. They have committed to stick it out with us for one year and we are glad that our commitment to Kumkang School and the kids are carried out every month without fail. And that is largely due to CJ Welfare’s support. Just look at their faces while playing. Precious! More pictures of these happy faces are here in our Face book page.